It's looking to position itself as a go-to "springboard" for business owners, says David Mandelbrot, who took over as CEO of the San Francisco-based company in January. 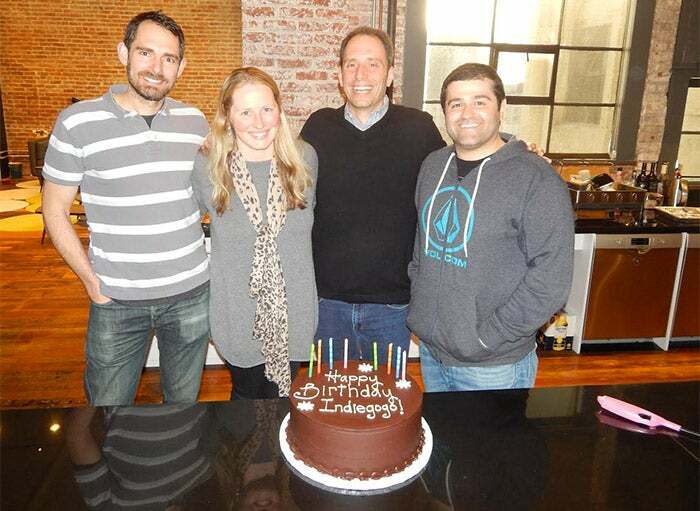 David Mandelbrot, the new CEO of Indiegogo, is third from the left. He is standing with all three co-founders of Indiegogo. The InDemand program gives entrepreneurs with blockbuster crowdfunding campaigns a way to transition into ecommerce. It's available to creators of successful campaigns that run on Indiegogo and other platforms. 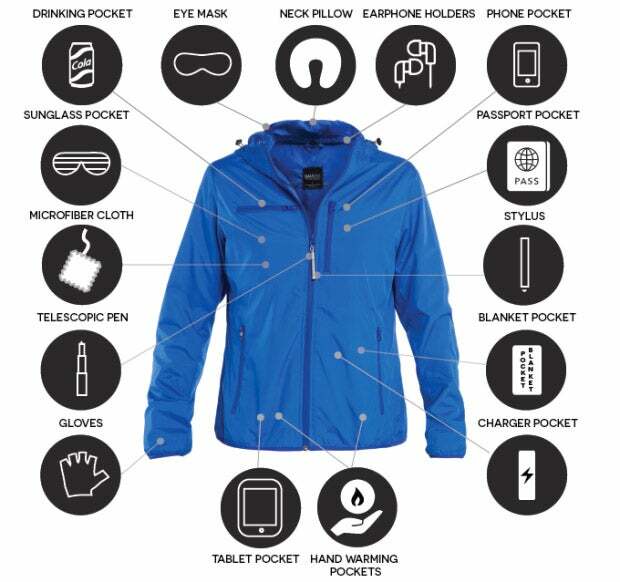 For example, the BauBax travel jacket raised $9.2 million on Kickstarter and then launched an InDemand campaign on Indiegogo that brought in another $2.3 million, for a total of $11.5 million. "The work that we did in that one was really to put them together," Mandelbrot says. "I am very confident that it would not have happened if we hadn't been involved, but the net result was a win for everybody." To be sure, Indiegogo is not the only crowdfunding platform that wants to expand beyond crowdfunding. 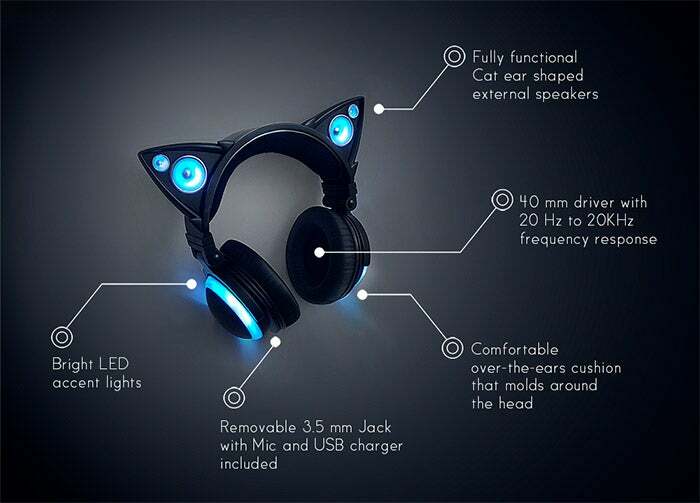 It's East Coast based, larger rival Kickstarter also has said that it is trying to be more than a crowdfunding platform. "We don't want to ride the same horse into the sunset," said Yancey Strickler, a co-founder and CEO of Kickstarter, during the 92nd Street Y's weeklong 7 Days of Genius Festival earlier this year. Innovation within Kickstarter is a top priority right now, Strickler said. "What Kickstarter will tell you -- they are very focused on creators, and while I think a lot of the entrepreneurs on Indiegogo would consider themselves creators, there are also a large class of entrepreneurs that don't. They are just entrepreneurial," Mandelbrot says. "They are not creators as much as they are people who are trying to launch a business. They overlap, but not perfectly." The distinction that Indiegogo is proud to be drawing doesn't sit well with Kickstarter. "We're highly focused on continuing to serve creators of all stripes and provide them the best experience. Many creators are entrepreneurial and entrepreneurs creative," says Justin Kazmark, spokesperson for Kickstarter, in an email with Entrepreneur. "We don't see the same false dichotomy." To be sure, it's to Indiegogo's benefit to be courting the entrepreneurial set. That's been its fastest growing division of fundraisers, compared with personal cause, charity fundraises and a catch-all category for "other" sorts of fundraising.